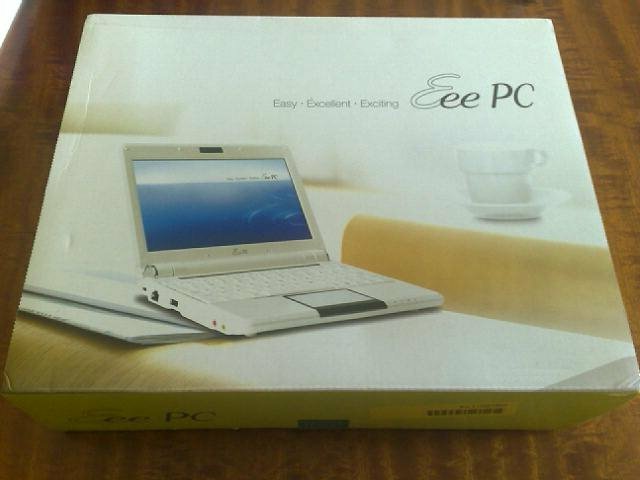 Finally, after weeks of waiting, my girlfriend’s Eee PC 901 arrived this morning. First impressions of the 901 are that it’s very impressive; rather than a cheap budget laptop, it looks and feels like a small quality laptop. 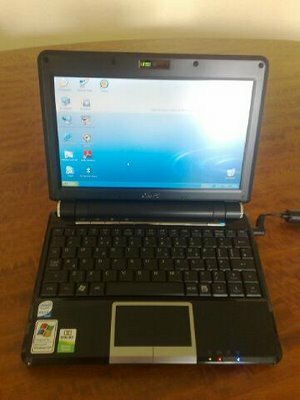 Whereas the 701 seemed to be a good way of Linux spreading out to the masses, the 901 with Windows XP is likely to slow Linux’s spread. Comparing the Eee 901 with my (rather aged) 701 finds that the 901 just about wins a boot-up contest. Yes, the 701 has been around the block a bit, and the 901 Linux is likely to beat the 901 XP, but with the 901 XP booting in around 35 seconds, its seems likely that people will go for the operating system they are used to. In conclusion, I want one.